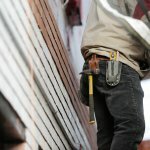 4 Mistakes Investors Make When House Flipping in Colorado Springs - Tactical Investing Inc.
Flipping real estate can be highly lucrative… if you do it right. However, if you don’t do it right then it could end costing you a lot of money, time, and frustration. We’ve got you covered! We’re sharing 4 mistakes investors make when house flipping in Colorado Springs so you can avoid these blunders and improve the return on your investment. Flipping houses can be fun and profitable… or it can be frustrating and problematic. But you can make sure it’s fun and profitable by avoiding these 4 mistakes investors make when house flipping in Colorado Springs. If you’re ready to get started with flipping and you want to check out what properties we have that might be perfect flips for you, click here now to enter your information or give us a call at (719) 286-0053.